Thank you to our event sponsors in partnering with us on this exciting event! “The city is made for bike racing, with the river and the hills. Visit Knoxville hit the ball out of the park." A variety of sponsorship opportunities are available for the Pro Road, ITT and CRIT National Championships.Vendor opportunities are also available for the Knoxville Cycling Expo. Be a volunteer at this special event! Opportunities and shifts coming soon! 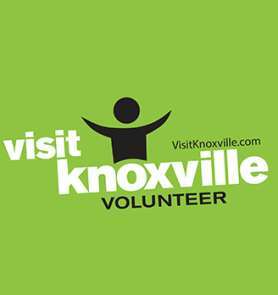 Becoming a Visit Knoxville Volunteer is a great way to become part of fun events in our community - and meet new people!